The County Cruiser is the best-looking garden barrow in the UK, out-selling all other barrows in its class, and Which? Magazine placed it as their Top Best Buy in March 2011. We also stock spare parts for the County range of barrows, so should you have any punctures or need to replace handle grips you can easily do so. 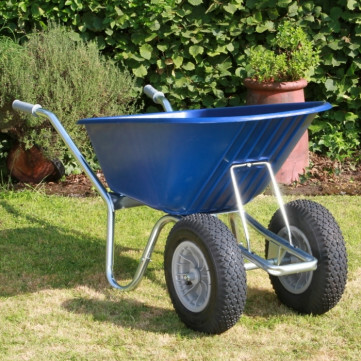 This is truly a barrow to last a lifetime.